NOTES: The folks over at Spodee sent us a bottle of their new white version to try out, so we thought we’d work it into a drink. We tried it out on its own, and the label wasn’t lying when it said “notes of pineapple.” Solo, it’s a touch sweet for my taste, but I found that the sugar and fruity flavor makes it a really nice ingredient in a cocktail, fitting snugly into a spot between a heavier, sweeter syrup and a boozier liqueur. In this case, it played a nice part in a spin on the Pina Colada. It played well with the spiced rum to make the drink a little more interesting than the old coconut cream and mildest-rum-available standby. 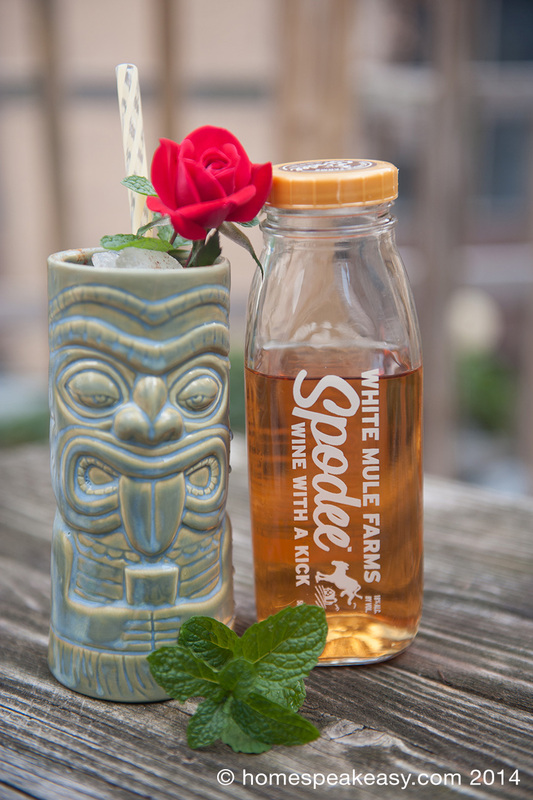 All in all, I’d say the Spodee White makes a good addition to a tiki-style arsenal. It’s different, but familiar. We tested this one out at a cocktail party, and it was a favorite of the night. Overall, I’d say the recipe was a solid one.